Formed in 1998, the group originally consisted of 6 members formed around YOFFY. However after several member changes, the group ended up being just a duo between YOFFY and IMAJO with support members as needed. 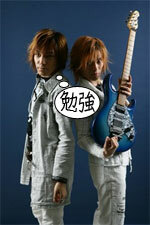 Shortly after their formation as a duo, they would appear on the anime music program "Anipara ongakukan" alongside anime song greats Kageyama Hironobu, Endou Masaaki, and others. This began their careers in the anime song world, which is what they are best known for.